All rights reserved. This material may not be published, broadcast, rewritten or redistributed. TUCSON, Ariz., Aug. 29, 2013 — /PRNewswire-USNewswire/ –Scientific evidence available for decades suggests that far fewer Americans need die of cancer, writes Arthur Robinson, Ph.D., in the fall 2013 issue of the Journal of American Physicians and Surgeons. But preventative measures with enormous potential are not being studiedor are off limits. Robinson highlights an article published in 2002 about a population of people in Taiwan who had a cancer incidence only 3 percent of that in the surrounding populationa decrease of 97 percent, along with a huge decrease in the number of birth defects. Astonishingly, these people had lived for 9 to 20 years in apartments built with rebar contaminated with radioactive cobalt-60. The average dose they received was about 40millisieverts per year. Nuclear workers in the U.S. may receive up to 50millisieverts in a year, but this limit is almost never reached. One would have to get about four full-body CT scans in a year to approach this dose. “These startling results deserved an intense follow-up by public health authorities, but this has not occurred,” Robinson states. Instead, radiation “protection” regulations prevent people from obtaining the radiation they might choose to receive. Current government standards are based on the “linear no-threshold” (LNT) hypothesis that holds that even the tiniest dose of radiation can cause cancer. 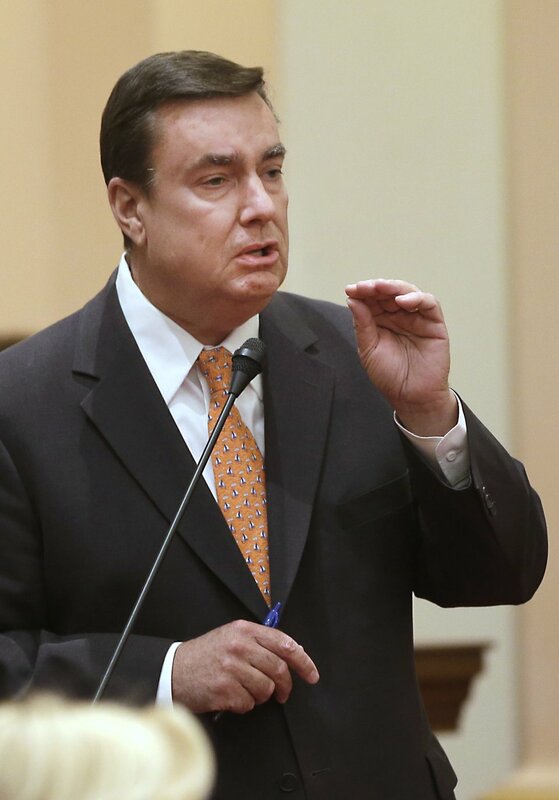 The measure by Assemblywoman Toni Atkins, D-San Diego, would let those medical professionals perform what are known as aspiration abortions during the first trimester. The method involves inserting a tube and using suction to terminate a pregnancy. The Senate approved AB154 on a mostly party-line, 25-11 vote, sending it back to the Assembly for a final vote on amendments. Expanding the list of professionals who can perform those types of abortions would help make them available in areas that have few doctors, said Sen. Hannah-Beth Jackson, D-Santa Barbara, who carried the measure in the Senate. She said about half of California counties lack abortion providers. “All women deserve access to care in their local communities,” she said. The procedure is safest when performed early, yet women in rural areas often have difficulty arranging for and traveling to a provider, she said. Several Republicans objected to the expansion, saying it would increase medical risks for patients. “Abortion is a serious medical procedure with vast complications, and I would argue that only the best-trained should conduct such an operation,” said Sen. Jim Nielsen, R-Gerber. “It has direct and profound impact on lives: the mother and the baby and there is a baby.” Sen. Joel Anderson, R-Alpine, said legalized abortion was supposed to end the days when women’s lives were put at risk.